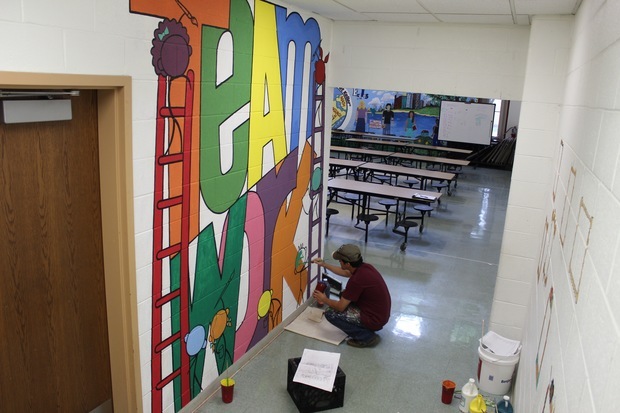 MOUNT GREENWOOD — A mural of kids working on a mural will soon be complete at the Annie Keller Regional Gifted Center in Mount Greenwood. The colorful mural consists of the words "Team" and "Work" stacked atop each other. It also features smiling stick-figures painting on the wall just outside of the school cafeteria. "It's kind of meta," said Eric Garcia of the National Museum of Mexican Art. The Pilsen-based museum partnered with the school at 3020 W. 108th St. through a program titled Nuestras Historias: Teaching Stories of America Through Art, said Aileen Halvorsen, the second-grade teacher at Keller. The program uses Mexican-American art as a launch point for students to explore a variety of topics related to the American experience. At Keller, the students chose to focus on teamwork and history, Garcia said. The history or social studies component focused on the legacy of Mexican muralism well as the history of Mexico, said Garcia, of Pilsen. Then the students submitted their ideas for the mural. Garcia worked to compile a collaborative design based on their suggestions. 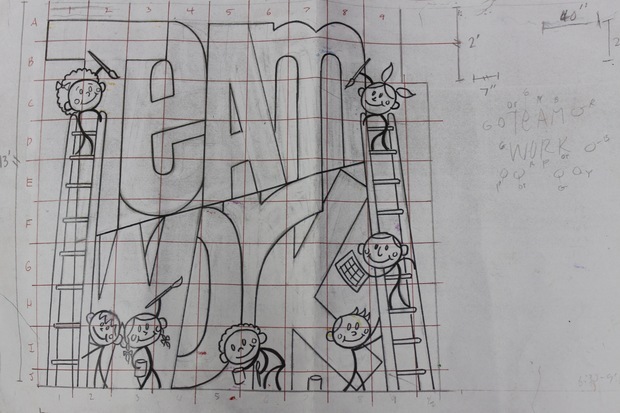 The 27 second-grade students broke the up the mural into a grid. This helped them transfer the project from a small paper to the large wall, Garcia said. 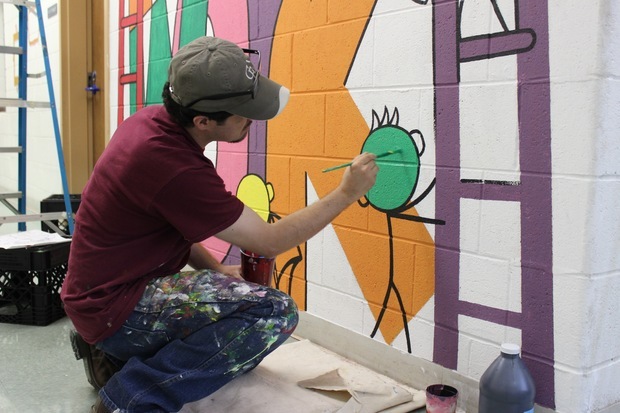 The second-grade students painted the lower portion of the wall, and 12 junior high students from Keller's after-school art club painted the top portion of the mural. Painting took one week, Garcia said. "I think they did a really good job," said Garcia, who was putting the finishing touches on the project Thursday morning. The names of all the students involved in the project will also be listed above a nearby door. 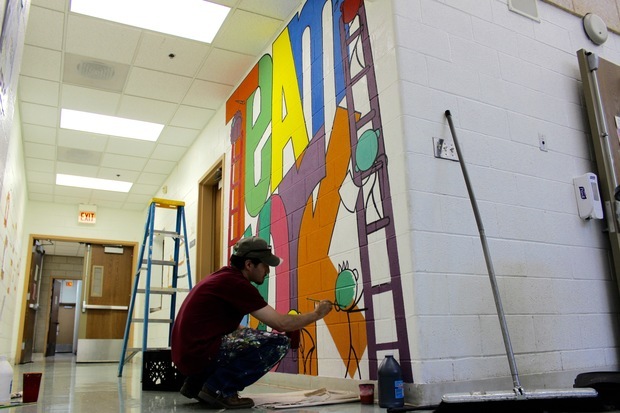 "It's really exciting for them to actually paint on the wall," Garcia said. "They loved it."